Earlier in the year I saw a timeline that the Los Angeles Times published, breaking down the state of California’s plans to ramp up the minimum wage to $15 by 2022. I then saw the California Restaurant Association’s 2016 wage map. There was just something so immediate, so real in seeing the wage changes presented in such a manner. For servers and bartenders who rely on tips as their main source of income, I don’t know that it makes sense to raise their base wage while they continue to make tips. In California, tipped employees do not receive a lower tipped-minimum wage (like in other states) which means that they will make $15/hour plus tips by 2020. There is already quite a disparity between what tipped and non-tipped workers make and this will only further aggravate the issue. As the minimum wage rises across the state, restaurant operators will need to reassess all other salaries. For instance, if a line cook previously made $12 and the head chef made $15, it wouldn’t be fair to just bump the line cook’s salary up to $15 and keep all else the same. A change in the minimum wage isn’t as simple as increasing lower salaries to the required minimum; everything will need to be reevaluated and changes made accordingly. When you raise the minimum wage, it’s not just a change in the net hourly rate of restaurant employees. Restaurant operators will also incur additional costs in the way of taxes, insurance, and payroll. These additional costs are all connected to the rising minimum wage, so the percentage increase for restaurants is much more than just the anticipated difference between the current minimum wage and the new mandate of $15/hour. When you take into account the already low 5% average net profit margin, this means labor costs alone are going to kill the profitability of many restaurants unless they’re willing to take it out on customers. I was previously an owner and operator in the hospitality industry, so I understand what tight margins the industry has to deal with. We’ve known that these changes were coming for quite some time, but I don’t know that many restaurants have been able to properly plan for them. There is already so much that operators have to worry about on a daily basis that I’m sure some have let the planning and preparation go by the wayside. By now you’ve heard about big chains like Wendy’s taking steps to curb higher labor costs by investing in standalone kiosks. Then there are new restaurant concepts like Eatsa that opt for a fully automated FOH in order to save money. How many of the smaller chains, franchisees, and independent operators can afford solutions like that? Higher pay for both tipped and non-tipped restaurant employees will continue to perpetuate the problem many California restaurants grapple with. Restaurants in other states provide tipped workers with what’s known as a tipped-minimum wage (which is lower than the standard) and then compensate tipped employees with additional pay if their hourly wage and tips do not total the standard minimum wage. California does not do this. If restaurants are forced to cut jobs in order to counter higher wages, that could quickly sour employee productivity, positivity, and loyalty. Other restaurants may opt to raise menu prices which could instead sour their relationship with previously loyal customers. Some restaurants may opt for the Wendy’s or Eatsa route and try to replace employees with automation. There are some who argue that the human element will always be needed though, so those restaurants would be paying for automation and higher-waged employees. 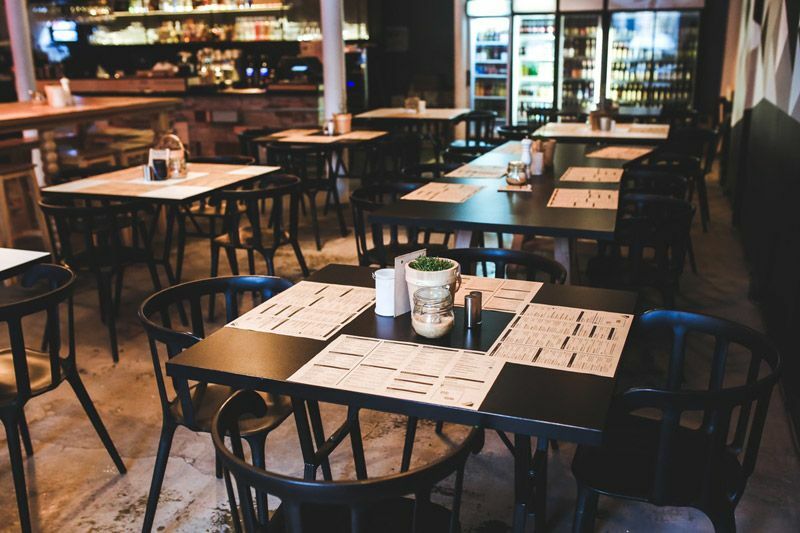 Many restaurants tested out a “hospitality included” policy this past year in the hopes it would help them prepare for the upcoming changes. Many restaurateurs have since reversed course on that though, noting a number of drawbacks. The restaurant industry already has a very high turnover rate and expensive hiring process. If it becomes even more expensive to hire new employees, will restaurants choose to run shifts leaner, close up shop earlier, raise menu prices, or make cuts to other operational areas to recover the loss in revenue? Restaurants that are not prepared for this are going to feel the pain, for sure. And while some employees will be excited to see their wages rise, will that higher wage make up for the additional stress caused by other changes made to balance out costs? At the end of the day, the customer is what matters most. Without happy, loyal, paying customers, restaurants have no business. As the minimum wage rises, those restaurants that are unprepared are going to start cutting corners that will disrupt the customer experience. Less focus on hospitality, higher menu prices, slower speed of service, inconsistent food preparation— What are we willing to sacrifice in the name of higher wages?